. . .g leisurely among them, axe in hand, and striking a single quick blow, to see if the sap would appear. Trees, like people, have their individual characters; some were ready to yield up their life-blood, while others were more reluctant. Now one of the birchen basins was set under each tree, and a hardwood chip driven deep into the cut which the axe had made. From the corners of this chip—at first drop by drop, then, more freely—the sap trickled into the little dishes. 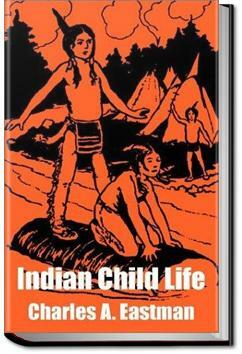 I find Charles Eastman's books fascinating - I just love the insight they give us into traditional Indian culture.